From Goat island green trees towards Barangaroo urban high-rise towers in Sydney city CBD over heavy boat traffic on Harbour. 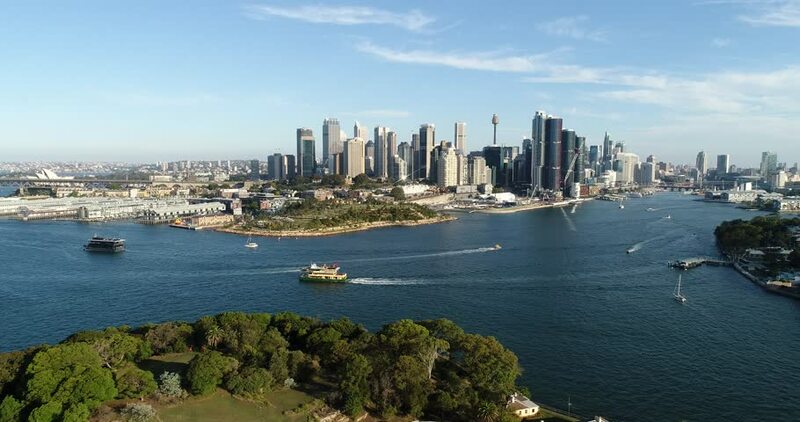 4k00:20Goat island in the middle of Sydney Harbour aerial flying towards Barangaroo, the Rocks and city CBD. 4k00:27Goat island in front of Sydney city CBD Barangaroo and Darling harbour in aerial panning towards Sydney Harbour Bridge on a sunny summer day. 4k00:25Sydney Barangaroo modern business district waterfront in aerial backward flying over Goat Island. 4k00:30Aerial backwards flying from Sydney city CBD over Kirribilli suburb until Harbour bay local marina waterfront with houses and yachts. hd00:30NEW YORK - CIRCA JULY 2015. Constant activity and construction cranes characterize Manhattan as the real estate market continues to overheat in the city as many residents get priced out and relocate. 4k00:16Approaching Kirribilli residential suburb and waterfront of Sydney Harbour in view of city CBD landmarks, Sydney harbour bridge and fast boat. 4k00:14From mid harbour Goat island with ferry wharf towards North Shore Berry bay and elevated cityscape of city of Sydney.